A social lifestyles publication focusing on nonprofit organizations, the businesses and community leaders who support them, their lifestyles and interests. 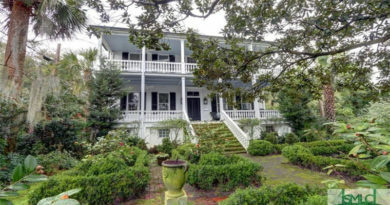 The viewer’s votes are in and on July 17th the winners in a variety of categories of homes were declared. eBuzzNewsletter includes all updates. Sent each Thursday. February 2, 2019: Bonne Sante’ benefiting the National Kidney Foundation. William Koval, Executive Chef at Lakewood Country Club, Founding Chef. April 5, 2019: AWARE Affair CELEBRATE THE MOMENTS Blooms of Hope benefiting AWARE – Fighting Alzheimer’s Since 1989. Ginny Bond Fein and Sara B. Smith, Chairs. Sharon Ballew, President. April 10, 2019: Distinguished Speaker Luncheon featuring Candy Evans as speaker benefiting the Park Cities Historic and Preservation Society. Chaired by Shelby Fuqua and Julia Fuqua. Venise Stuart, President. April 11, 2019: Mad Hatter’s Tea. 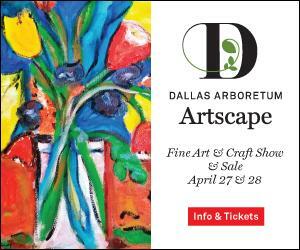 benefiting the Women’s Council of the Dallas Arboretum and A Woman’s Garden. Sharla Bush and Terry Irby, Chairs. Linda Spina, President. April 13, 2019: Historic Home Tour benefiting the Park Cities Historic and Preservation Society. Suzie Curnes, Chair. Venise Stuart, President. April 13, 2019: FashionCited benefiting Legal Hospice of Texas. Honorary Chair: U.S. Congressman Colin Allred. Emcee: Jack Stone, Dallas Lawyer and Reality TV Personality in the Bachelorette 2017 and Bachelor in Paradise. Francisco Flores and Cathy Garcia, Chairs. April 13, 2019: Arts Performance Event: An Evening with Stars of Nashville: Charles Esten and Jonathan Jackson benefiting Vogel Alcove. Co-Chairs Allen Nye and Matt Henry. April 27, 2019: Classic and Antique Car Show benefiting the Park Cities Historic and Preservation Society. Polly and Dan McKeithen, Chairs. Venise Stuart, President. April 30, 2019: Women’s Auxiliary of Nexus Spring Luncheon featuring Anne Lamott as keynote speaker, benefiting Nexus Recovery Center. Chris Ozley, Luncheon Chair. Carole Steele, President. May 3, 2019: Pot of Gold Luncheon featuring Marlee Matlin as the keynote speaker benefiting Rainbow Days, Inc. Nikki Chriesman-Green, Chair. September 24, 2019: KidneyTexas, Inc.: The Runway Report Fashion Show and Luncheon Transforming Lives. Mari Epperson, Chair. Sandy Secor, President. October 7, 2019: Design & Dine benefiting Vogel Alcove. Karen Hughes, CEO, Vogel Alcove. October 25, 2019: A Night for Nexus benefiting Nexus Recovery Center. Alesia and Darin Turner, Cary and Mark Deuber, Chairs. Becca Crowell, President and CEO, Nexus Recovery Center. October 26, 2019: M1Ball benefiting Mercury One. Suzanne Grishman, Executive Director. October 27, 2019: A Taste of West Dallas benefiting the Wesley-Rankin Community Center. October 2019: Help Our Heroes Luncheon benefiting the Army Scholarship Foundation. Rose and Jeff Gault, Chairs. Ocober 2019: The Family Place: Partners Card. October 2019: Les Femmes du Monde: Woman of the Year gala dinner. November 19, 2019: A Writer’s Garden benefiting the Women’s Council of the Dallas Arboretum and Botanical Garden. Nikki Beneke, Chair. Venise Stuart, President. December 14, 2019: Christmas in the Park benefiting the S.M. Wright Foundation. To see coverage of all events and more organizations on SocialWhirl.com, simply click on the magnifying glass icon on the upper right corner of this page and type in their name. Enjoy! Copyright © 2019 SocialWhirl.com. All rights reserved.